Create a Packard Bell recovery and master CD by burning the contents of the hidden tattoo partition into a CD. 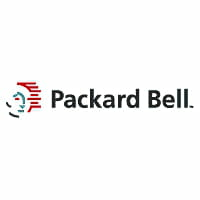 Assembler Packard Bell has established a protection system to prevent re-use of OS and driver software on other systems by a hidden tattoo partition on the hard drive that contains a copy of the operating system and device drivers of hardware. If there are problems in burning the hidden partition on the CD, it is possible to retrieve the master CD by paying on the hotline or through some forums. It is important to own a Packard Bell recovery and master CD to restore the Windows system to its original state. To prevent its software being installed on multiple machines, Microsoft requires assemblers such as Packard Bell to use a protection system, called "Tattoo" in order to safeguard its software. These PCs are shipped without an installation CD but with a copy of the operating system and drivers saved on a hidden partition, allowing you to restore the system to its original state with this "Tattoo" backup. Most of these PCs are equipped with a digital watermark located in both the BIOS and the boot track of the hard disk. If it is altered, erased or damaged, the disk cannot boot because the BIOS will not recognize the tattoo on this disc drive. This also means that you will need to tattoo any new hard drive you want to install on your machine, else it will not be recognized by the BIOS. If you lose the tattoo, you risk losing all your software and drivers permanently. It is therefore important to make a backup before formatting the hard drive. If you haven't got a copy of the master CD, there are generic CDs you can get hold of that may help. Contacting your manufacturer may be useful. These generic CDs may not solve your problems completely, in which case you should contact the manufacturer or check the online forums for advice. Be careful installing Linux over a tattooed Windows formatted hard drive as it will destroy the tattoo. The only way around this is to create a Linux boot disk to use. Published by netty5. Latest update on November 8, 2012 at 11:39 AM by Jean-François Pillou. This document, titled "Packard Bell - Recovery and Master CD," is available under the Creative Commons license. Any copy, reuse, or modification of the content should be sufficiently credited to CCM (https://ccm.net/).